David’s note: Sandip, this is the sweetest story that touches every emotion. Pain, struggle, hard work, hope, success, love, gratitude. You embody the best of SFDC99 and you’re an inspiration for me too to work harder on my dreams even if things don’t go as planned. I am not surprised by your success and I predict much more will come your way too! I am really happy to tell the world my story on the most popular Salesforce blog. David, the only reason I have had this opportunity to put my words here is you and your amazing work spread by SFDC99.com. I was very nervous and abandoned all hope. Though I had basic understanding of coding concepts, I didn’t code for any project or application. Maybe that’s the reason why I got rejected in the interview, I confess. Motivational speeches helped me a lot to keep thinking in a positive way during this time. I thrived and successfully completed my thesis build on ‘Neural Network’, the most difficult topic I have ever worked for. Also, I joined a company as a trainee ASP.Net developer to learn programming on live projects. I was working all 7 days a week to manage both my thesis and company’s work. After four months, I got an offer for Salesforce developer position. Since I was dreaming of a career in could computing, I decided to take the job. I prepared for the interview and got the job. The first few months passed and I began to understand just the basics of Salesforce. It was a daily practice for me to bookmark each useful link and learn Salesforce concepts from it after office work. While searching for some help on Google, I came across SFDC99 and read through all of the pages within a day. ‘David Liu’ became my role model and I decided to be included in ‘5 Certificates in 6-weeks’ club after reading success story of Mayank and Adam. When I began preparation and started gathering study materials in September ’15, my beloved sister passed away leaving me crying. It was really hard time to come back from the situation and look after my family. I was forced by conditions to quit my job. At some point, I had another chance to live my dreams. Days passed and everything came back to normal. I appeared in an interview again and was selected. My eagerness towards earning Salesforce certifications was still alive and my wife was well aware of this. One day while discussing the exam and preparation plan, the discussion came to the end with a planned goal for ‘5 Certificates in 5 Weeks’ before July ’16. My wife sketched my schedule for preparation and compromised with an Anniversary Gift to arrange my exam fees at once for 5 certificates. The actual preparation started and my days passed 14 hours working in front of computer screen: 8 while in office and 6 for SFDC exam preparation. I touched almost all of the ‘Help for this page’ links and the bunch of bookmarks created from my 3 years’ experience. The workbooks and ‘Limits & Consideration’ sections for each topic, Quizlet, and practice exams were also very helpful to pass the exams. Finally, the day came on 22 July, I passed the Service cloud consultant certificate and entered into ‘5 certs in 5 weeks’ club. My God – I believe, He lives inside me, listen to me every time and He loves me a lot. My father – He trusted me on every phase of my life whether it is about choosing the career option or allowing me to resign from government job before my masters. David Liu – As a living inspiration, you have truly encouraged lots of people like me to learn SFDC and coding. David, you are the ROCKSTAR of Salesforce!! 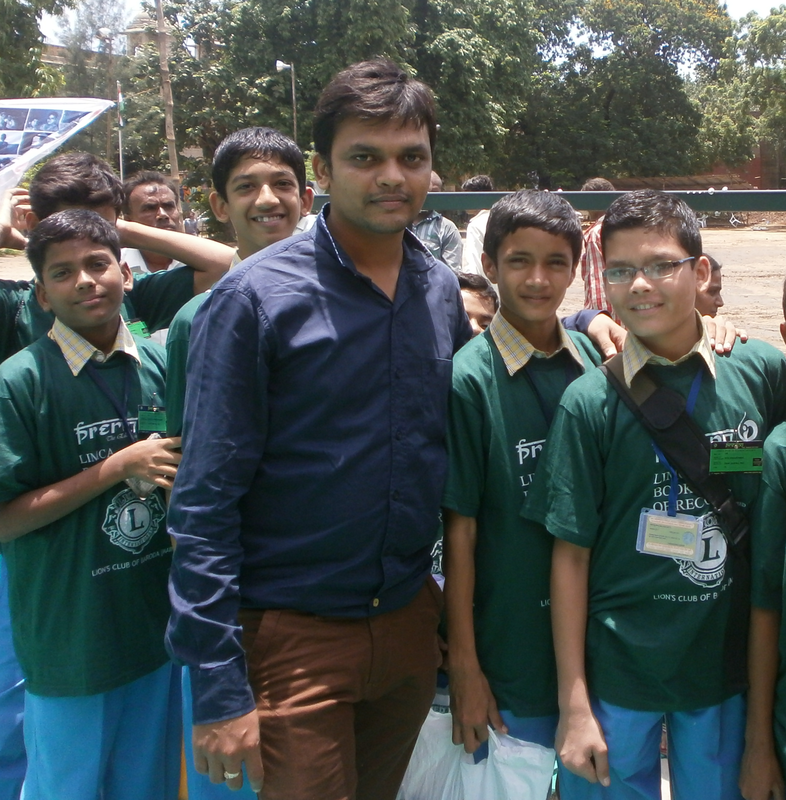 Nishant Pradhan Sir – The leader who is known for his personality. Nothing I can say will ever convey the amount of gratitude, I owe to him for showing me how to have the right attitude. My first interview taker – Thank you so much for opening my eyes to another beautiful life! My wife – If I could, I would marry her thousand times. I salute your dedication and your wife’s support! Thanks for sharing your truly inspirational story Sandeep! Thank you so much Momin. ! Truly Inspirational… It will inspire all of us. Congratulations Sandip, you have proved nothing is impossible when you really want it :) keep it up! Wow…Nice piece of shear determination in torrid times and overcoming all your challenges.Best of luck for your future. Thank you so much Samir !! Amazing….. Succes , Inspiring Story…. Excellent Sandip!! Great job and congratulations for your achievements. Thank you for sharing. I’m so happy you were able to push yourself to join the “5 certs in 5 weeks club” – and it makes me feel like I can too! It sounds like you’ve got a great support system! Thank you Chloe..&.Yes, You can DO IT !! Thank you so much Hitesh.. ! Congratulation Sandip Patel, You deserve for that and, Really I surprised on ” You can’t write a single line of code. Think about some other career options and stop imagining your career in IT companies ” obviously because you are one of the good Team leader and mentor for me during my Salesforce Career. Thank you so much brother…It’s pleasure working with you too.!! I haven’t told you, When I was asked for what I need to become in next two years, I have said I just wanted to be The Sandip Patel. It’s really a very good opportunity for me that I have started my career with the person like you. You always inspired me. Inspirational story.. Really very happy for u. Hey Sandip, This is really great news. Many Congratulations for the Certifications. I am happy that i knows you personally. Wish good future where ever you worked. You are really hard worker and inspiration for others. 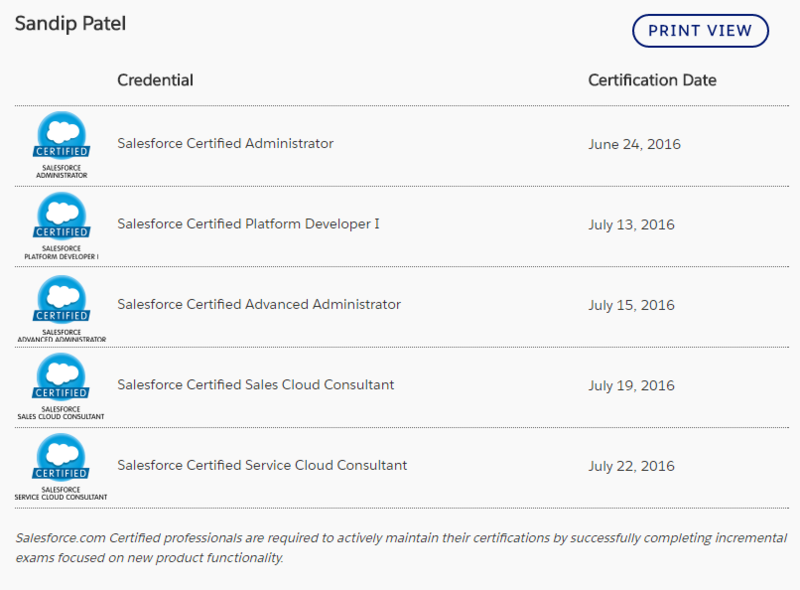 I spent more than 5 years as a Salesforce Developer but still no certification. After your inspirational blog will definitely do the same this year. Thank you so much Ketanbhai for your kind words..! WOW! Thank you for sharing. You have encouraged me! I Wish you a great success in your life Sandip..Good information. Thank you so much Kumar..! Fantastic story. Thank you for sharing.